Bundles Of Books was founded in Augusta, GA by my father, Chuck LaMarsh, in the Fall of 1996. I brought his idea to Boston in 1997. By selling bookmarkers for donations at my shows people have donated anywhere from $1 to $1000. During the holiday season, books have been distributed to the Children’s Youth Services of Roxbury, Citizens For Citizens group in Taunton MA, Dorchester Youth Academy in Dorchester, MA, Quincy Crisis Center in Quincy, MA, Interfaith Social Services ~ Quincy, MA, The Webster House in Manchester NH, Bridges Shelter and Nashua Children's Home in Nashua, NH. Underpriviledged boys and girls from infants to age 18 receive a "bundle" of books (3 books) during the holiday season. The bundles are typically delivered to the children during the week before Christmas. Many people have volunteered to come in to bookstores with me to pull books off of the shelves (by age/ gender when applicable) and have also helped wrap the bundles, somehow keeping everything organized! We are fully tax exempt (which will give us that much more to buy books with) due to the generosity and time given by David Colleran. William Staar of Morrison Mahoney LLC has taken over the legal duties for Bundles Of Books - I can't thank Bill enough for his very generous donation of time and efforts made to this charity. We're re-printing the last Holiday CD this year and we've added 3 new songs - one new tune with our buddy NBC's "THe Voice" contestant Josh Logan!! We have an awesome crew of fantastic musicians ~ Nate Comp, Josh Logan, Lisa Guyer, Missy Johnson (Missy MacQuarrie), John Medeiros Jr., Lindsay Hilts, Steve Archambeault, Adam Fithian, Carter Holland, Demetri Papanicolau, Dave Stefanelli, Chris Lester, Crystal Spencer, Jimmy Magoon, Jordan Tirrell-Wysocki, Brad Myrick, Mirko Tani, Joe Pierog, Chaz Marie LaMarsh, Jada Moquin, MB Padfield, and Chad LaMarsh. New Songs include Baby It's Cold Outside, Auld Lang Syne, and Little Drummer Boy Also - Silent Night, O Holy Night, Deck The Halls, This Christmas, Carol Of The bells, My Favorite Things, God Rest Ye Merry Gentlemen, What Child Is This, Winter Wonderland, and Happy Christmas. 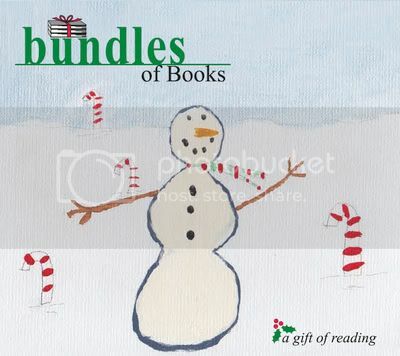 Yes, we now have 2 Bundles Of Books Holiday CD's! All proceeds of the sales at shows and over the internet will go to Bundles Of Books. Thank you to Katie Paulsen and her Family for donating several dozen books (100's!) for the 2007 Holiday season from their book store. This Holiday CD includes 8 classic songs: Dance of the Sugar Plum Fairies, We three Kings, Christmas Time is Here, Carol Of The bells, God Bless Ye Merry Gentlemen, Silent Night, White Christmas, and Little Drummer Boy. The songs were recorded playing acoustic guitar arrangements, sometimes accompanied by mandolin and cello, and occasional choral vocals.